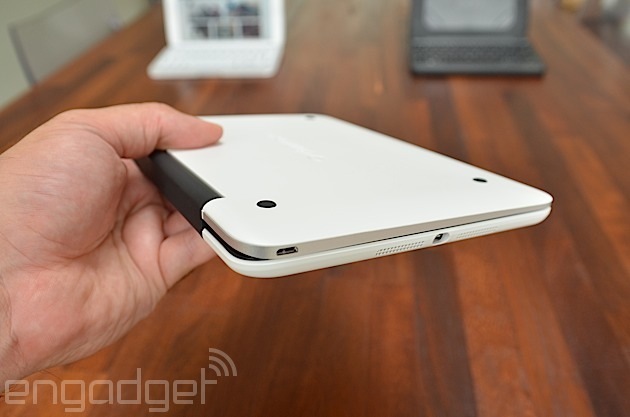 What's up with 8-inch tablets? Microsoft reportedly canceled the Surface Mini at the last minute. Samsung's Galaxy Note 8.0 is long overdue for a refresh. Even the current class leader, the iPad mini, only came about after years of procrastination at Apple. Perhaps it's just a little harder to convince people of the merits of this category of device, compared to the greater pocketability of a phablet, the affordability of a 7-inch Android slate or the extra productivity offered by a full-sized tablet, hybrid or laptop. However, I'm happy to report that with a bit of smart accessorizing -- namely, the addition of a high-quality keyboard case that allows for proper touch-typing -- an 8-inch tablet has plenty of scope to operate as a serious productivity tool, if not an outright laptop replacement. Due to the sheer size of Apple's following, the iPad mini offers the greatest choice of tailored keyboard cases of any 8-inch tablet. 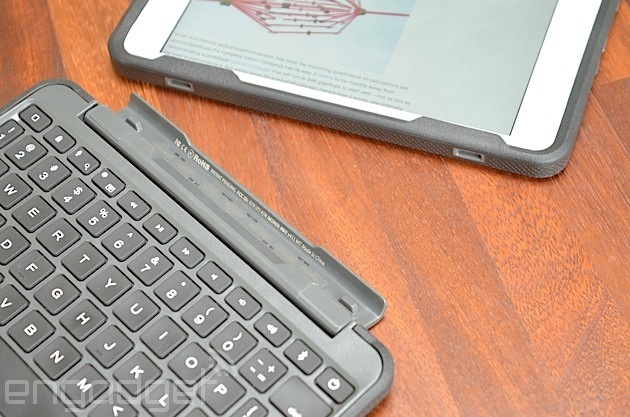 Demand for iPad mini keyboards has evidently persisted since launch, because new products from reputable companies have continued to hit the market in the past six months. This includes a miniature version of the ClamCase Pro, which was the winner of my full-size iPad keyboard roundup last year and which can bend backwards to work as a stand. There's also now an intriguing rugged keyboard from ZAGG, which has a magnetic hinge allowing you to quickly detach the tablet section from the keyboard. I've spent a few weeks with both of these, as well as with a more lightweight ZAGG keyboard for the Samsung Galaxy Note 8.0, in an effort to acclimatize to what are inevitably more-cramped conditions. These accessories may be small, but none of them are half-hearted add-ons -- something that is reflected in both their designs and their price tags. Crucially, all three keyboards have nicely spaced chiclet-style keys, and they also have proper hinges to replicate a laptop-style experience. The ZAGG keyboards even have backlit keys. In other words, if fast, comfortable typing is ever going to be possible on this sort of accessory, these examples probably stand the best chance of making it happen. What's more, with all these cases, the combined size, weight and cost of the tablet-plus-keyboard combo is significantly less than a MacBook Air or Microsoft Surface Pro 3 -- which is a key reason to be interested in this sort of solution in the first place. Let's start with the most important statistic: words per minute. I define "touch-typing" as typing without looking at the keyboard, rather than following any sort of specific method taught at a secretarial school (do those things even exist anymore?). So all the numbers in the table below reflect typing while mostly staring at the screen, and with all errors corrected on the fly in order to produce a clean passage of relatively complicated text (which included some large numbers, special characters and people's names). As you can see, I wasn't able to match my natural typing speed (69 wpm, as achieved on a 15-inch MacBook Pro) on any of the 8-inch accessories. The closest I came was with the ZAGG Rugged Folio, which yielded 56 words per minute, with the ClamCase Pro not far behind at 53 wpm. These latter two products honestly felt about equal to me in terms of typing comfort, and their sensible layouts actually allowed me to type just as fast as on a 10-inch iPad keyboard case -- in other words, trading down from a full-size iPad to a mini didn't seem to come with a huge sacrifice in potential typing speed. That was quite a revelation. Meanwhile, the ZAGG case for the Galaxy Note 8 produced a slightly slower speed for me, which was mainly due to the fact that it occasionally produced false presses -- where I'd hit a key once and see the letter repeated five times in succession on the screen. Hitting backspace to correct this inevitably slowed me down. Even worse, hitting backspace sometimes exacerbated the situation, where I'd accidentally wipe out a whole line instead of just a few characters -- although this didn't happen often, and I suspect it maybe an issue with Samsung's software rather than with ZAGG's hardware. There's more bad news for ZAGG on the Galaxy Note 8.0: The Bluetooth connection sometimes took a while and often failed unless I messed around in the settings menu, which seems like another TouchWiz quirk. This ZAGG also doesn't allow any of the flipping or detaching contortions that are possible with the two iPad mini models -- it's stuck in a traditional laptop mode. 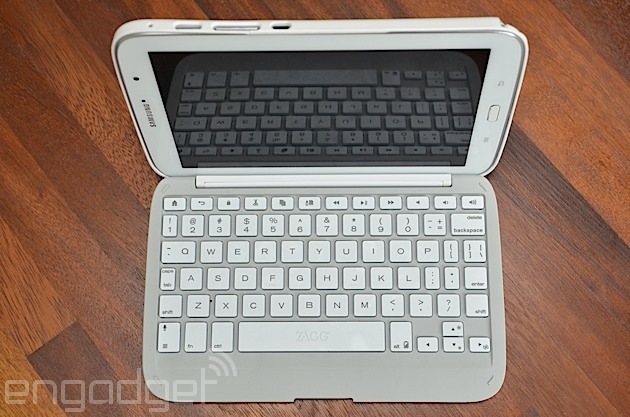 Suffice to say, my Galaxy Note 8.0 has come out of the case and gone back to dressing in its birthday suit. By contrast, the iPad mini's Bluetooth connection and processing was absolutely flawless, and both the ZAGG Rugged and ClamCase Pro were effortless to use. It was easy to turn the keyboards off to break the wireless connection and re-enable the onscreen keyboard. And it was just as easy to turn them back on to re-establish the connection and start typing again. During the course of testing the accessories, I made two big trips without my MBP, just relying on the keyboard-equipped iPad mini as my primary work laptop, plus a Wacom stylus for note-taking. Overall, I think I could just about cope with this as a permanent laptop replacement, if it wasn't for an occasional need to batch-process images and cut video. Overall, it's safe to conclude that touch-typing is possible on an 8-inch tablet keyboard, so long as you make an effort to get used to it, and so long as your particular keyboard is nicely designed. I'd forget about the ZAGG keyboard for the Galaxy Note 8.0, mostly due to the software issues, but both the iPad accessories covered here are solid purchases. 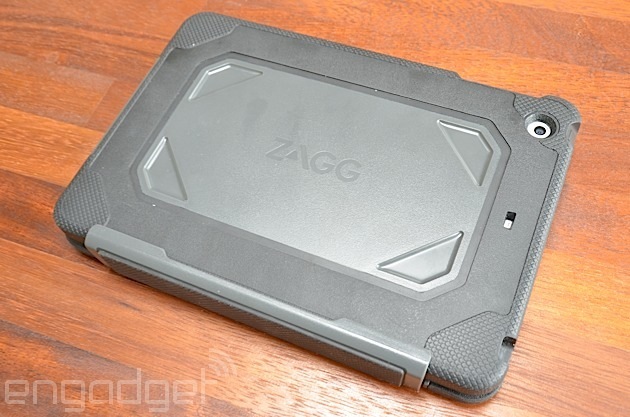 If I had to choose one, it'd probably be the ZAGG Rugged -- not because of its slight advantage in typing speed, but because of its Toughbook-style tactility and the ease with which it lets you pull the iPad section away from the keyboard section. Both of these features came in handy on cramped flights, or when passing the iPad to someone across a desk during a meeting. Of course, many people will be put off by the ZAGG's extra bulk, in which case they can default to the ClamCase Pro instead. But ultimately, I've arrived at the same conclusion that I did in my last roundup a year ago: I think a great keyboard accessory is one that is bold enough to totally transform a device's function for as long as it is attached, rather than just trying to be as small and inconspicuous as possible.